This book is a companion book to the wonderful ‘Violet Mackerel’ series which you can read about here and here. You can read my interview with illustrator Sarah Davis here and my interview with author Anna Branford here. 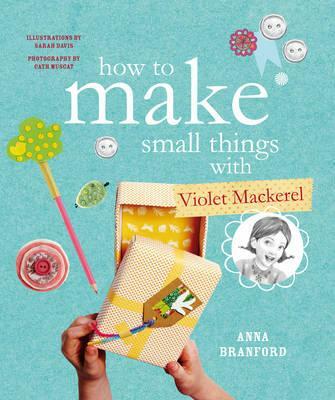 ‘How to Make Small Things with Violet Mackerel’ is a welcome addition to our ‘making things’ book collection as Pud calls it. It sits alongside ‘Lazing on a Sunday Crafternoon’ and our sewing/threading books – as well as a few of my craft books from my childhood. Violet is an inspired character and her love of collecting small and interesting things is evident in all six of the ‘Violet Mackerel’ novels. If Violet Mackerel were a real little person, I think her and PudStar would be great friends indeed, as Pud also collects small things at an astonishing rate. As a third generation librarian in the making, Pud’s collections are often beautifully classified although she needs much librarian tuition in the area of collection culling. When someone I know is doing something brave, like taking a piano exam or entering their project in a special science fair, I quite like to make them a SHINING SUN RING as a small present. It is a good choice because the sun is bright and cheerful and a ring is something a person can easily keep with them and look at whenever they need extra braveness. Each activity has step by step easy to read instructions and photographs. 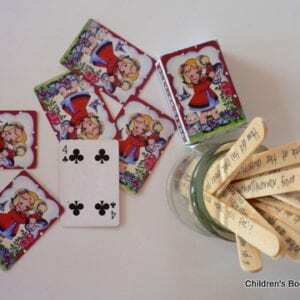 The ‘Thinking outside the square’ sections give extra ideas for each project such as alternate materials, or turning rings into brooches or crowns into door handle decorations. 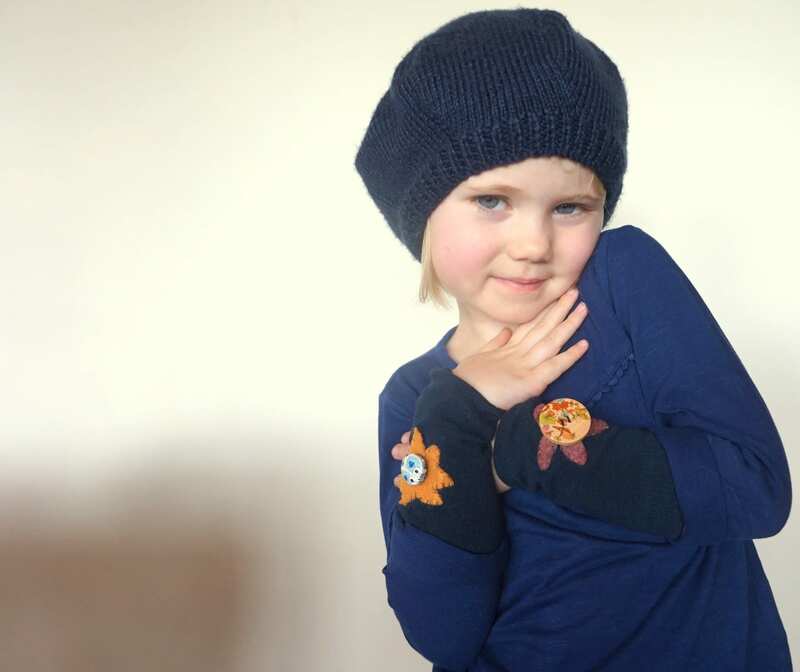 Violet Mackerel is excellent at thinking outside the square, and she often has very important ideas…great traits to encourage in our small people. 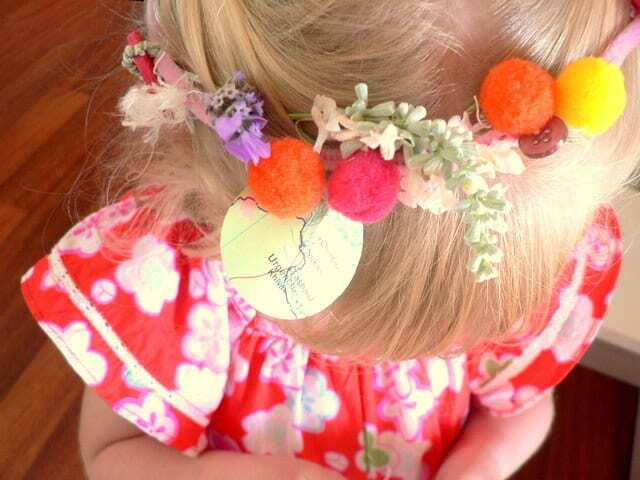 While I cooked dinner, PudStar spent an hour making four crowns of small things and was so engrossed in tying knots and selecting small things from her collections that she didn’t notice that ChickPea AKA The Wild Thing had found a Sharpie pen. 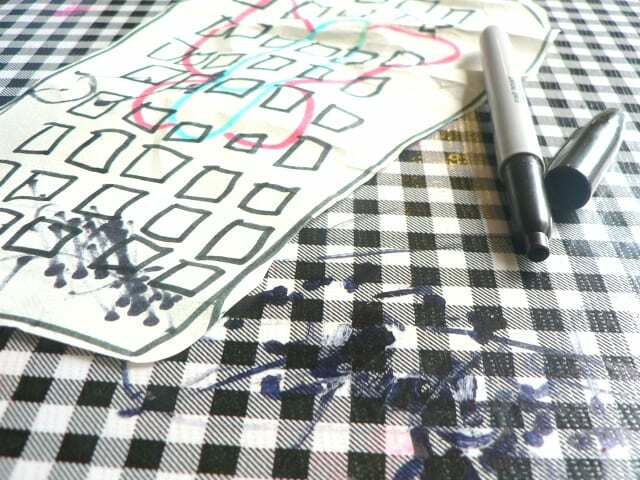 There was much screaming when Pud discovered that her ‘iPhone16’ (paper) and the table were covered in Sharpie. Tomorrow we’re going to make a leaf necklace so we can have leaves with us always, a notebook for recording important ideas and some wrist warmers out of the mountain of odd socks we have. 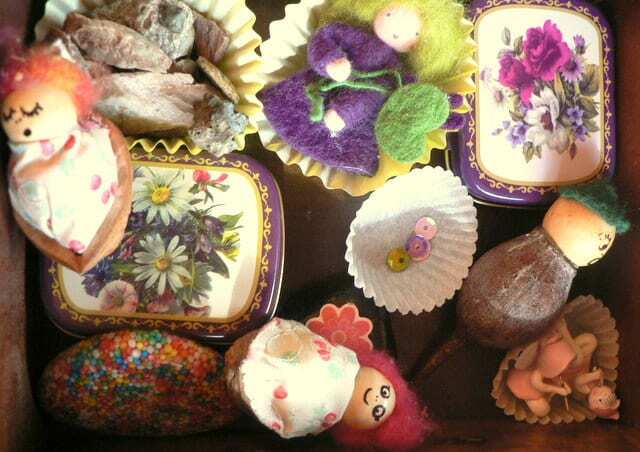 We do already have a history of making small things in this house…our walnut babies and gumnut babies are still loved, as is the fairy garden to which small things are regularly added. I think Violet Mackerel would approve. 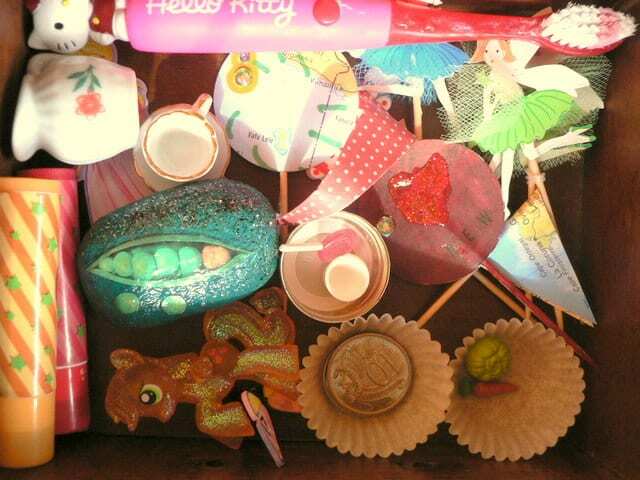 Below is a sneak inside Pud’s dresser drawers – the collections are growing at an alarming rate! 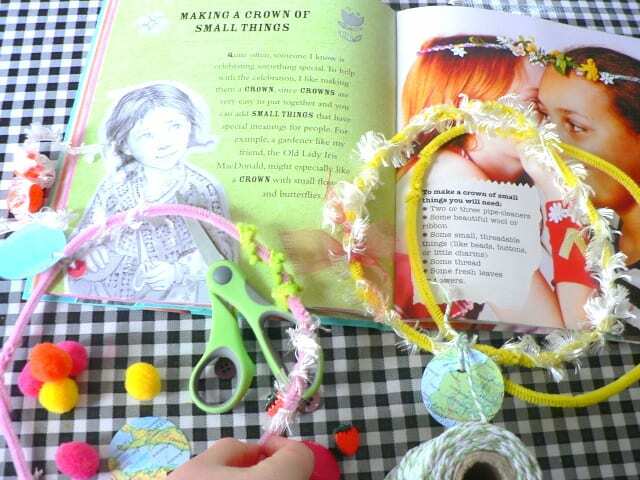 You can see one of the projects from this book in full here..’Cosy Wrist Warmers’. This beautifully illustrated review of this book almost makes me yearn for a girl… Nah – too old. Fantastic review Miss Daley. You are a GEM my love! Where can we buy these books from? Tell me exactly from which shop and where. Hi Jenna! You just click on the titles to purchase them.